Major League Soccer has decided to add a new player category to its SuperDraft and we talk about the top of the Premier League table. All in the Tuesday, Dec 28th, 2010 Soccer Daily. By J Hutcherson – WASHINGTON, DC (Dec 28, 2010) US Soccer Players — With just a few weeks before the Thursday in Baltimore when the clubs make their choices, Major League Soccer has decided to add another category of player to the entry draft. Hey, they always said it was a super draft. Then again, the decision to add foreign players signing with the League to the draft with just weeks to go is a bit peculiar, especially since the news ended up in an interview on the League's official site without any official announcement. Until that official confirmation, we're assuming that they would know. MLS fans are supposed to be particularly excited that Wayne Rooney's brother has signed and will be available. Take that Macclesfield Town. Some might argue that the entry draft needed a tweak after several years of the best college players considering European options. That left MLS teams choosing whether or not to spend a pick on a player who might never sign with the League or going with a player already under contract. The higher the pick, the more likely it would be used on a player under contract or one who had given every indication MLS was his future. That's how the best bet in the 2009 SuperDraft ended up being taken at 56th. Marcus Tracy was taking his game to Europe and everybody in MLS knew it. Drafting rights for when a player might leave a foreign club and sign with MLS isn't the point of the SuperDraft. Well, at least it shouldn't be the point. Adding foreign players isn't exactly new. Even before Taylor Twellman entered the League through the SuperDraft after spending several seasons in Germany, there were players drafted from foreign clubs. It was never standard practice and only used once or twice in the first round. In 2000 and '01, several MLS teams decided to draft players from Trinidad and Tobago's Joe Public, as a for instance. By 2003, the draft had settled on what were then known as Project-40 players and college players. MLS wasn't going to be like the National Basketball Association or the National Hockey League, where most of the young foreign talent entered those leagues through their drafts. Moving back to foreign player acquisition through the draft should raise some obvious allocation and discovery questions for Major League Soccer. It should also have people asking why MLS is once again complicating a system that seemed to be working. 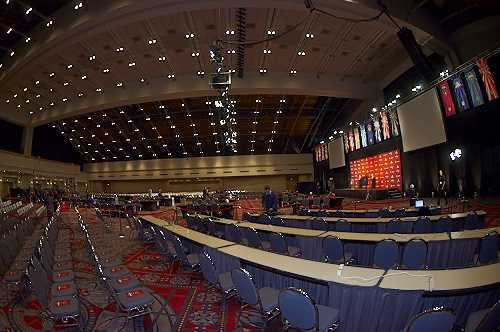 Though the name lent itself to an obvious rejoinder, the SuperDraft was about players who hadn't previously played professionally entering the League. Now it's still about that, but with the addition of players who aren't Generation adidas or attended US colleges. It's not exactly a subtle change. For fans, there's yet another mechanism for being allocated to an MLS club. Some people might actually enjoy this, but for others there's the apparently open question as to why MLS seems convinced it needs so many points of entry. Having covered this League to one degree or another since 1999, I don't have a good answer for you. I've also never gotten one from anybody working for the League. Going back over a decade, there's been the idea of a soccer-specific version of the hot stove league normally associated with pro baseball. That's when fans spend their winter trying to tease out what their club can do to improve for the next season. MLS doesn't give its fans the knowledge base to have more than a rough idea. The salary cap system seems more like a suggestion, the designated player exceptions are only used by a few clubs, and the draft now has an added tweak late in the calendar. Add in the additional drafts that have already happened, and the structure begins to look convoluted. Sticking with baseball as the comparison, it also has its multiple drafts, exceptions, and even the ominous specter of true free agency. There's also the multi-tiered development system. Yet its fans historically pay attention to the obvious moves a club is able to make. MLS doesn't have that guarantee. Maybe it's simply not the point. The self-interpretation might be that how the rosters get set is less important than who is on them for the start of the season. If so, fine. But at least give the fan base the relative courtesy of not promoting the drafts as exercises that make sense. It would be laughable in any other league to add an entire category of player on December 27th with a draft scheduled for January 14th. Unfortunately, that's also true for Major League Soccer. It's easy enough to build up Arsenal's win on Monday as a major statement not only to the team they beat, but to everyone else chasing Manchester United. That might be a bit of a stretch. Chelsea seemed perfectly willing to walk through their first of three games this week, and Arsenal deserves substantial credit for making them pay. Then again, there's a difference between giving a club credit and building them up into the only viable contender to knock Manchester United out of the top slot. It's worth remembering that it was Arsenal who looked completely outmatched on the road against Manchester United just a few weeks ago. Though the final score was more flattering, they shared a lot of similarities with Chelsea at the Emirates Stadium. Both looked like teams convinced that they'd only need that one moment to get at least a point. Both left with nothing and broader questions as to what type of game they're playing. It shouldn't be any easier to write off Chelsea as it was to write off Arsenal after that loss to United. By now, Chelsea should be used to getting criticized from all corners. Whether it's opposing managers, opponents, or fans, the knocks keep coming. Our title holders are underdeveloped to maintain a run at or near the top of the table. They won't be able to revamp enough in January to answer the multiple problems that have shown up over the first half of the season. Things simply won't change enough to return them to legit contender status, much less to another championship. Maybe. Then again if any team is capable of staging a mid-season revival it's Chelsea. They have enough of the positional pieces that we're not talking about four or five players to really make a difference. Their number is lower, and if the players happen to be available they're also one of the most likely teams to make the necessary moves. There's potential for this club that can't be dismissed as easily as some would like.